We’ve long believed that books make the best gifts…so we figured there couldn’t be a more perfect present than a whole year full of books! In our Holiday 2013 catalog, we launched our inaugural Book a Month program, which allows you to treat your favorite bibliophile—or yourself (you deserve it! )—to an eclectic collection of books for bluestockings. We’ve carefully chosen a top-notch mix of fiction and nonfiction, sure to please all kinds of bookworms. Each month here at the Bluestocking Salon, we’ll offer discussion questions about the featured work—for book clubs as well as thoughtful individual readers. It’s the ultimate literary gift that keeps giving all year round! Check out our twelve Book a Month selections below. We can’t allow substitutions for any of the titles in each package, but they are all available for individual purchase, if you’d like to pick and choose for yourself. 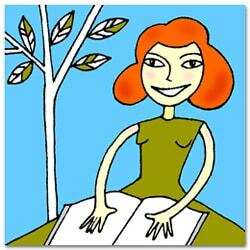 One final note: We will only be able to accept orders for Book a Month packages through December 31, 2013. This entry was tagged book clubs, community, gifts. Bookmark the permalink.